Learn about Reverse Swaps with iMinds Money’s insightful fast knowledge series. 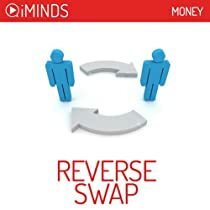 A reverse swap is a secondary swap agreement entered into by a party to an existing swap contract. The secondary swap will offset, or reverse, the position held in the original agreement. In other words, it is a new swap with the exact opposite terms to a pre-existing swap contract is made. A reverse swap can therefore simply be thought of as the undoing, without the cancellation, of a previous swap agreement. However, the reverse swap need not be executed with the same counter-party to the original as it is a completely new contract and thereby allows one party to pull out from a swap at no extra cost, even if the counter-party intends to keep their investment position. The reason for and method of executing a reverse swap will depend on the nature of the original agreement. Swaps are a type of derivative that, as the name suggests, involves the trading of financial benefits between two counter-parties. These benefits depend on the underlying asset in the swap agreement. Most commonly bond repayments are used, though equity and commodities based swaps are also actively traded. Note that the underlying assets themselves are not exchanged, simply the rights to the benefits derived from the asset. For example, these may be repayments on a bond or dividends from stock. Swap contracts can be made for any of a number of reasons: to hedge against changes in interest rates, commodity values, foreign exchange, or some other uncertainty; to conversely speculate for capital gain; or to receive benefits from otherwise inaccessible assets.